Although brain arteriovenous malformations (bAVMs) account for a very small proportion of cerebral pathologies in the pediatric population, they are the cause of roughly 50% of spontaneous intracranial hemorrhages. Pediatric bAVMs tend to rupture more frequently and seem to have higher recurrence rates than bAVMs in adults. Thus, the management of pediatric bAVMs is particularly challenging. In general, the treatment options are conservative treatment, microsurgery, endovascular therapy (EVT), gamma knife radiosurgery (GKRS), proton-beam stereotactic radiosurgery (PSRS), or a combination of the above. In order to identify the best approach to deep-seated pediatric bAVMs, we performed a systematic review, according to the PRISMA guidelines. None of the options seem to offer a clear advantage over the others when used alone. 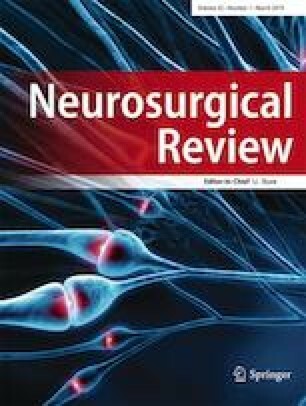 Microsurgery provides the highest obliteration rate, but has higher incidence of neurological complications. EVT may play a role when used as adjuvant therapy, but as a stand-alone therapy, the efficacy is low and the long-term side effects of radiation from the multiple sessions required in deep-seated pediatric bAVMs are still unknown. GKRS has a low risk of complication, but the obliteration rates still leave much to be desired. Finally, PSRS offers promising results with a more accurate radiation that avoids the surrounding tissue, but data is limited due to its recent introduction. Overall, a multi-modal approach, or even an active surveillance, might be the most suitable when facing deep-seated bAVM, considering the difficulty of their management and the high risk of complications in the pediatric population. Not applicable as no new patients were involved in this research.